Patrick Henry Travers (Pat Travers) was born and raised in Toronto, Ontario on April 12, 1954. Was inspired to play guitar after seeing Jimi Hendrix in Ottawa, along with other influences of the day that included the likes of Jeff Beck, Eric Clapton and Jimmy Page. He joined his first band while still in his early teens, and while on tour in Quebec with Merge, he was noticed by the legendary Ronnie Hawkins in the early '70s. At age 20, Travers moved to London, where he recorded some low-cost, low-production demos which eventually caught the attention of Polydor Records, who signed him to a recording deal early in 1975. 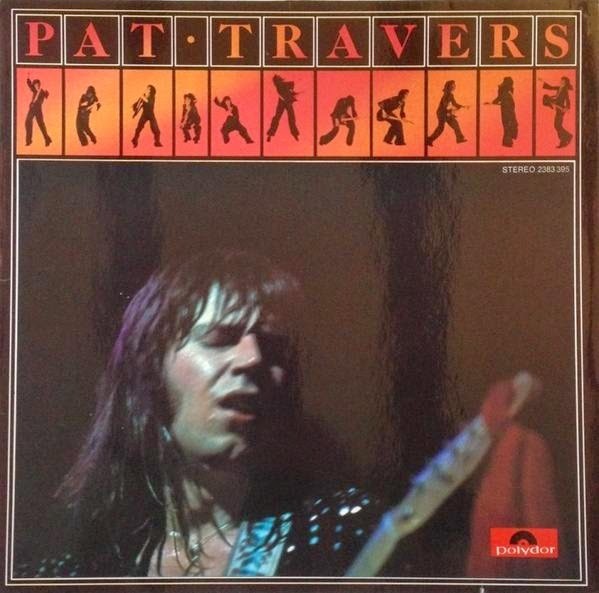 In April 1976 released his debut album "Pat Travers". The album featured a mix of original tracks and covers of rock and roll standards, including JJ Cale's "Magnolia," Stan Lewis' "Boom Boom (Out Go The Lights), Chuck Berry's "Maybelline" and "Hot Rod Lincoln" by Charles Ryan. A short series of mid-Canadian/US dates ensued, followed by a tour of England. Travers became quickly identified overseas while he wore red and white jumpsuits, and draped in a Canadian flag. It's around this time that he also became known for giving out cardboard replicas of his Telecaster and doing concerts barefoot. His connection with the fans went even further, as it wasn't uncommon at his shows to see fans air guitaring on stage with him. His early success culminated later that year when he was asked to play at the Reading Music Festival.